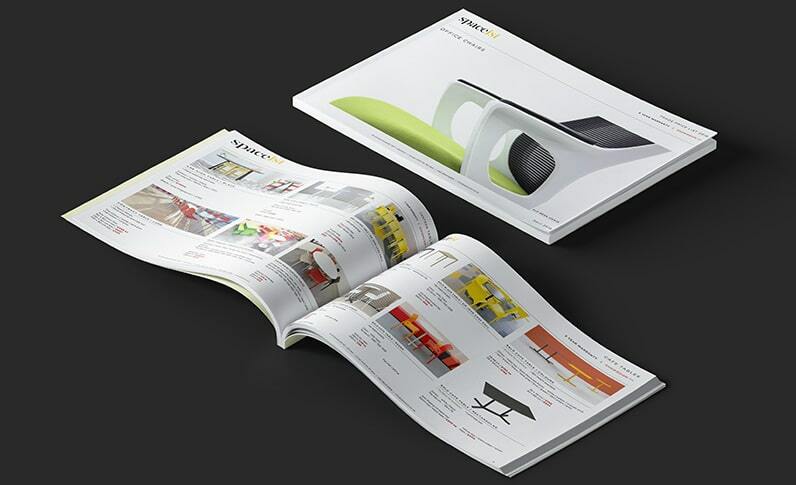 Here at Spaceist, we work closely with our manufactures allowing us to provide a bespoke service for a wide range of products and items. 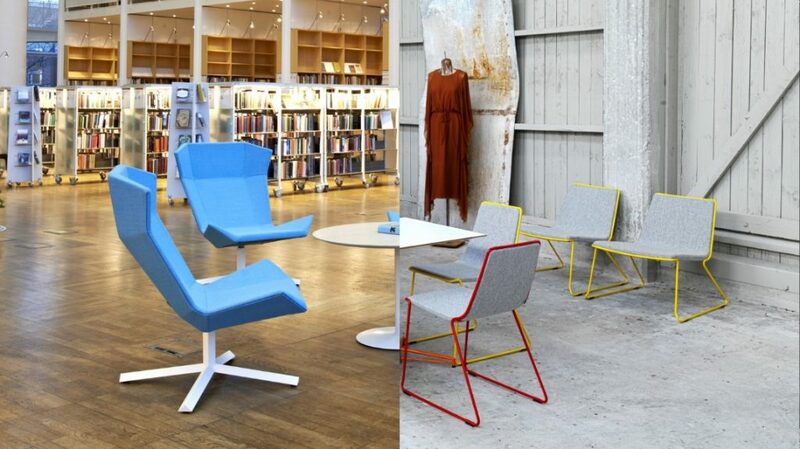 One of these items includes the Tivoli wood cafe chair. 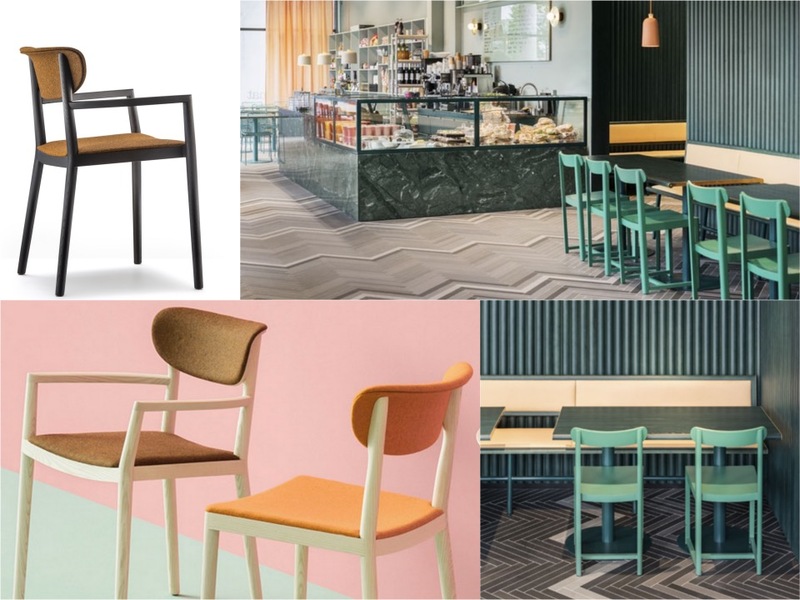 With a variation of options, we present a selection of five interiors and how one chair can apply to a range of café styles and colours. A baking studio and a boutique café, Loisir serves delicate pastries and afternoon tea and cake. The bright and airy interiors have been styled with floral hanging chandeliers and lights, oversized ornaments and a simple colour palette. The mix of traditional wooden café chairs with plastic café chairs adds to the modern shabby chic style of the interiors. 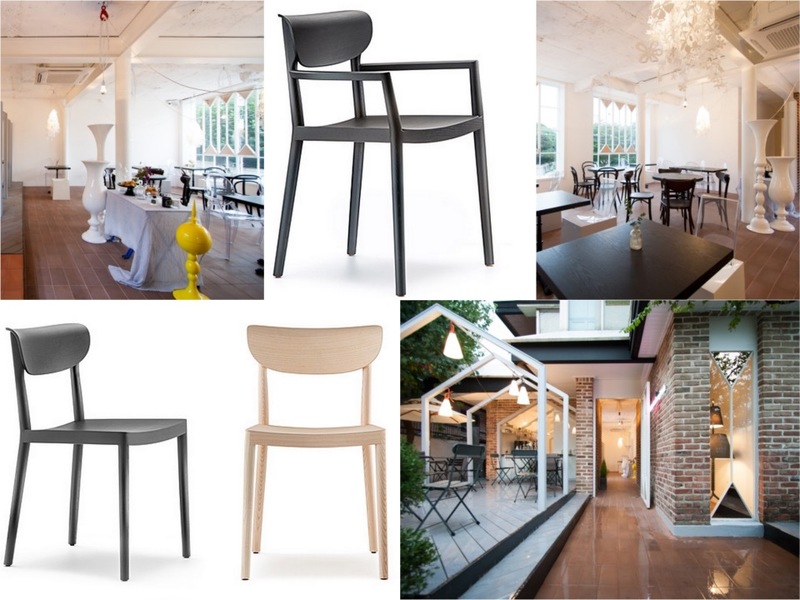 Made from solid hardwearing wood, the Tivoli chair presents a classical wooden chair form, with updated appeal. The Tivoli chair comes in an elegant black stained ash finish, with the option of a fabric back and seat rest option. Inspired by a series of photographic pieces by American artist and photographer Jordan Sullivan exploring simple landscapes merged with pastel colours. The soft and sleek interior is a mixture of pastel shades, a customised herringbone wood floor and a striking green marble wall. 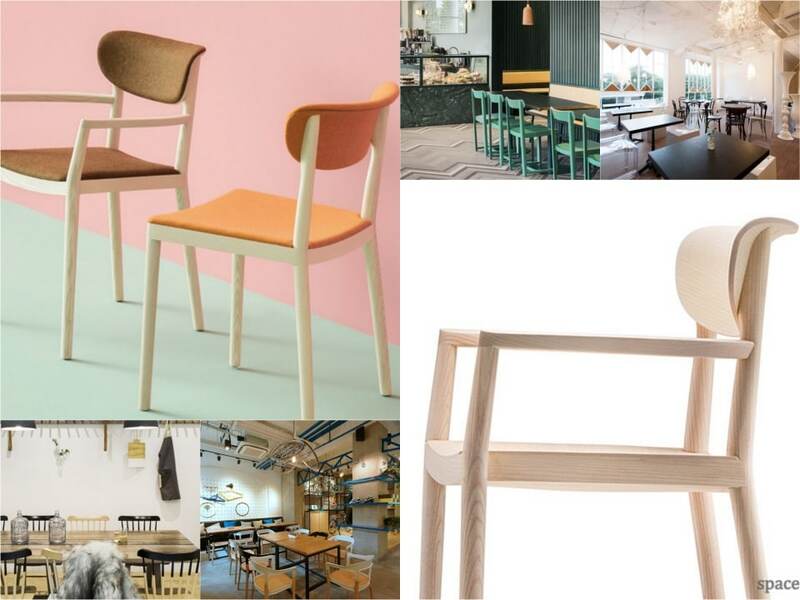 The furnishings are a mixture of soft wood and metal finished with pastel lacquer shades and hints of bight salmon. 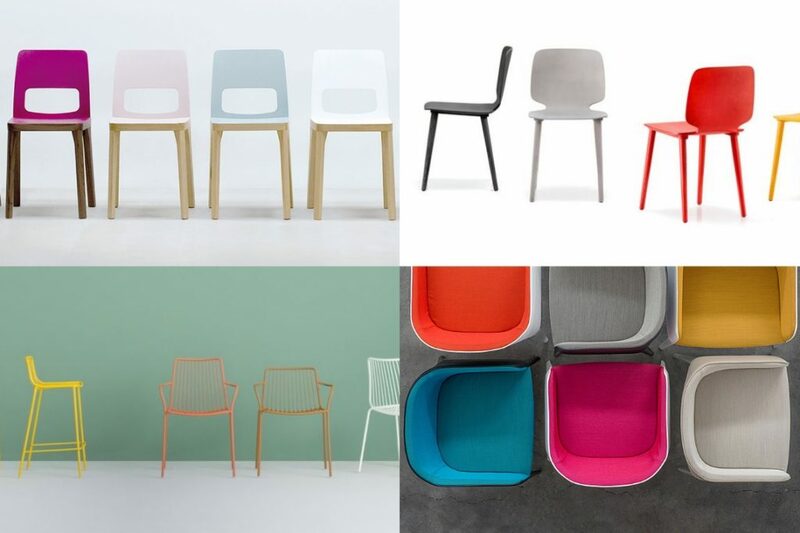 The minimal design of the Tivoli wooden café chair characterises it for multiple styles of interiors. The seat and back rest are available in a fabric option, which come in a wide selection of colours. Create a sleek and artistic interior for a gallery or museum café by adding colour along with one of the two wood finishes. 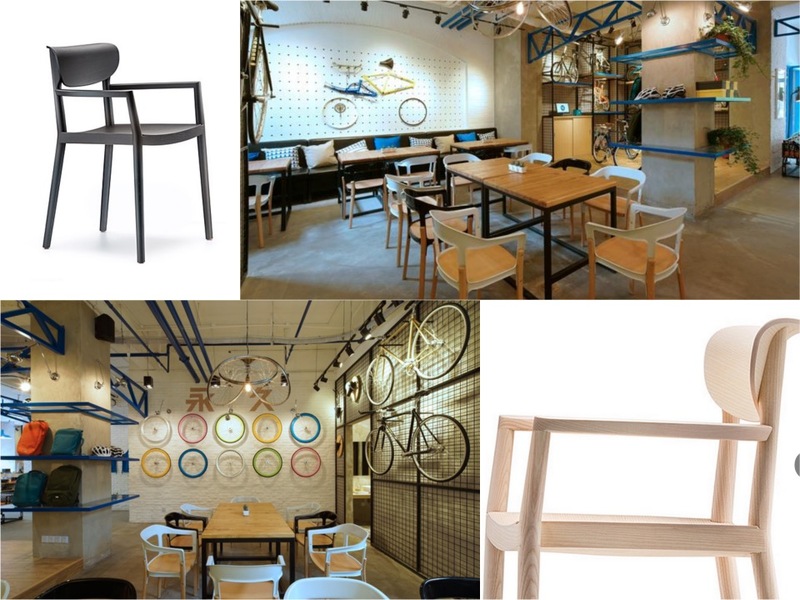 Based around traditional Chinese ceramic coloured theme, this urban cafe is largely influenced by a bicycle theme. The young and vibrant theme is a combination of bicycle parts hanging on the walls and ceiling in dashes of bright shades. The furnishings are a combination of neutral wooden chairs and tables with hints of black and white. 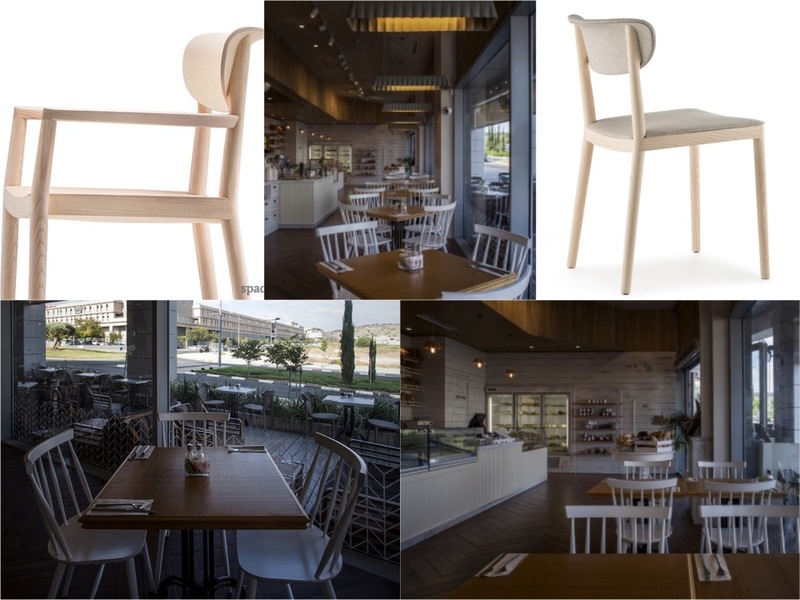 The Tivoli chair comes with in an armchair variation making it ideal for relaxing and comfortable spaces within a cafe or restaurant. 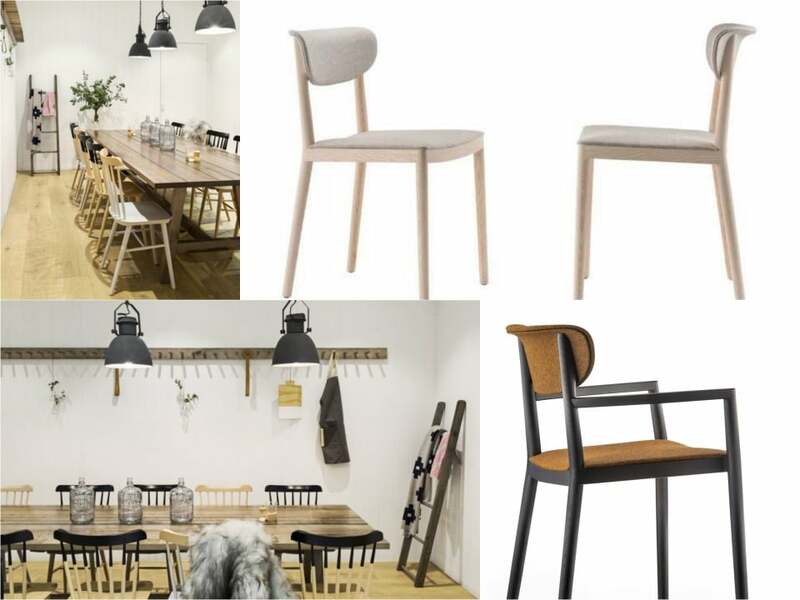 The hardwearing wooden frame comes in a natural ash finish or a black wood wash that can be mixed with contrasting fabric seat and backrest. 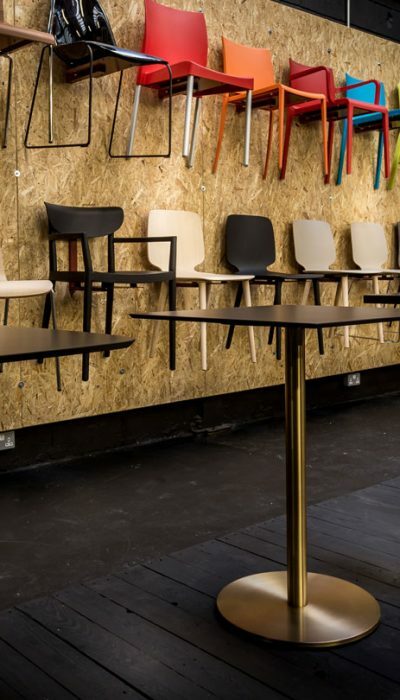 This sauve cafe is located in one of Melbourne’s hippest and fashionable destinations. The interiors have been inspired by Scandinavian design with minimal furnishings adorning the hard wood floor and simple colour palette. 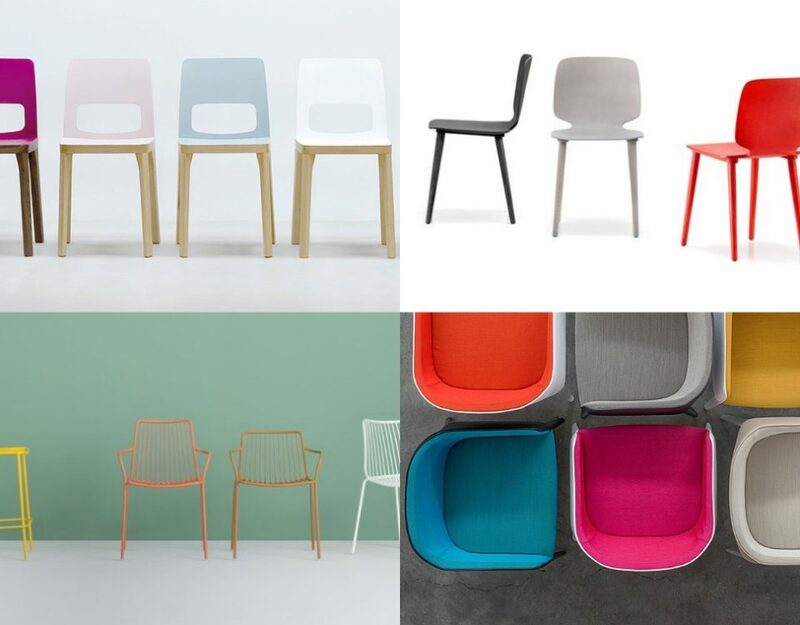 Presenting traditional form, the Tivoli chair functions for modern cafe demand. 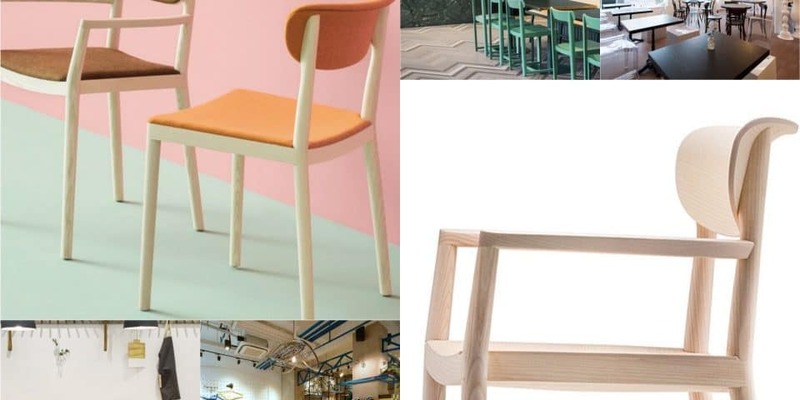 The solid wooden chair makes it great for various contract interiors and can be used for cafe’s and restaurant. The simple ash finish makes it suitable for creating a Scandinavian styled interior for its light wood effect and strong design style. Rustic with elegant finishing, this cozy bakery cafe in the Israeli city of Modiin presents a stylish industrial appeal with creative lighting fixtures, a metal food counter front, and a warm and cozy atmosphere. The furniture allows the bakery to serve food throughout the day, with suitable furnishings for casual breakfast, lunch or a cozy dinner. 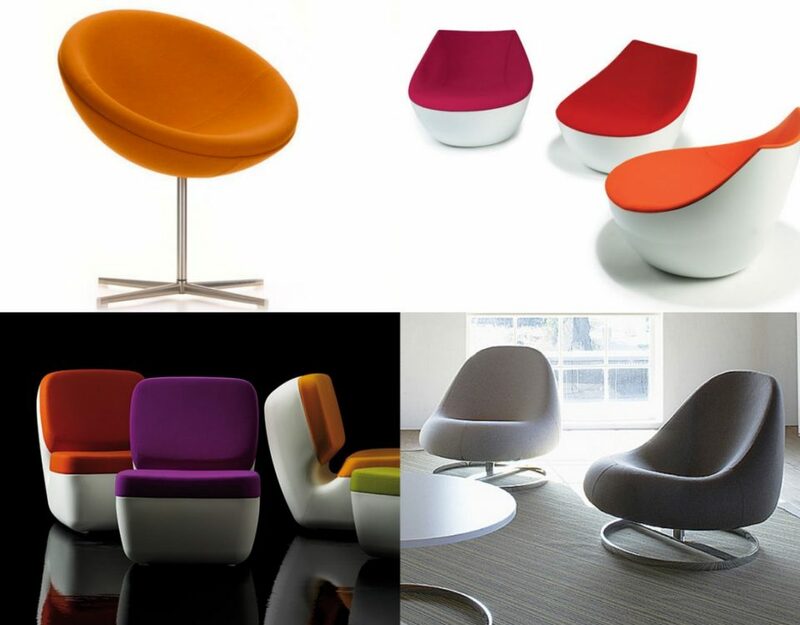 The style of the Tivoli chair is universal for adding comfortable seating for use throughout the day. 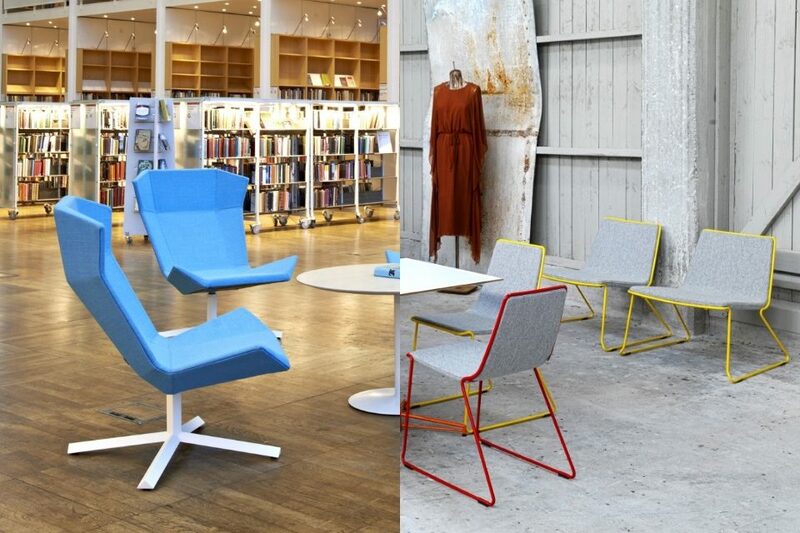 Ideal for interiors requiring a robust solution without compromising on style, the chair’s solid properties make it suitable for use in various settings.